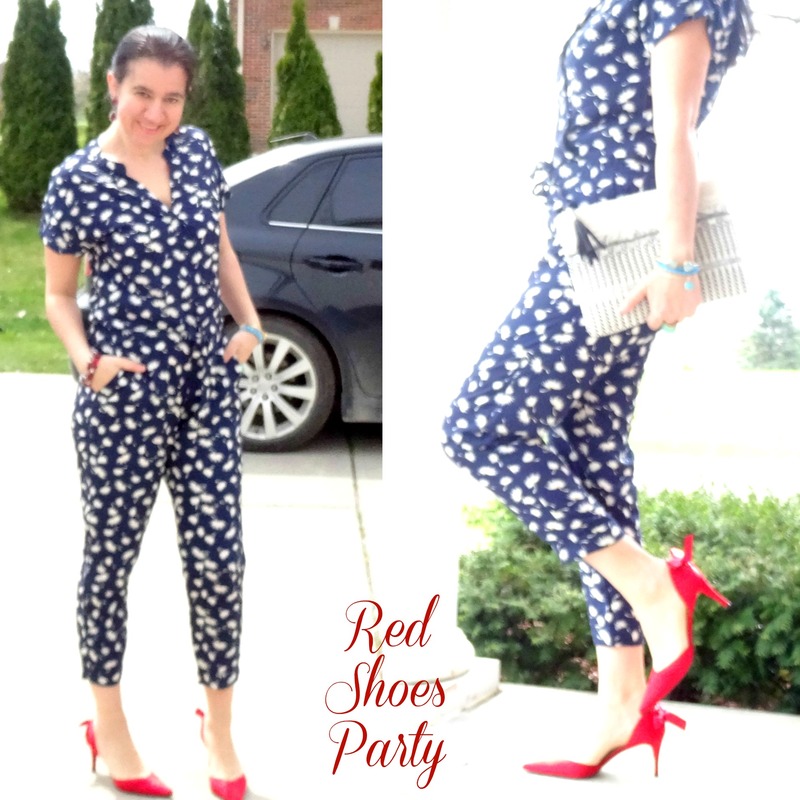 Red Shoes Birthday Blog Party (part 1) and a Navy Jumpsuit. 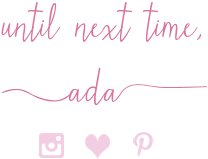 Over the past four years since I have been blogging, during my birthday, I have done a Birthday Blog Party for fun, on this blog, where I invited some of my favorite bloggers and blogging buddies to participate. I usually have asked them to style a dress for the occasion since I am almost always wearing a New Dress for my birthday (I love dresses) but I switched things around this time and I asked all the lovely, stylish participants to style a pair of red shoes of their choice and write a little bit about their outfits. 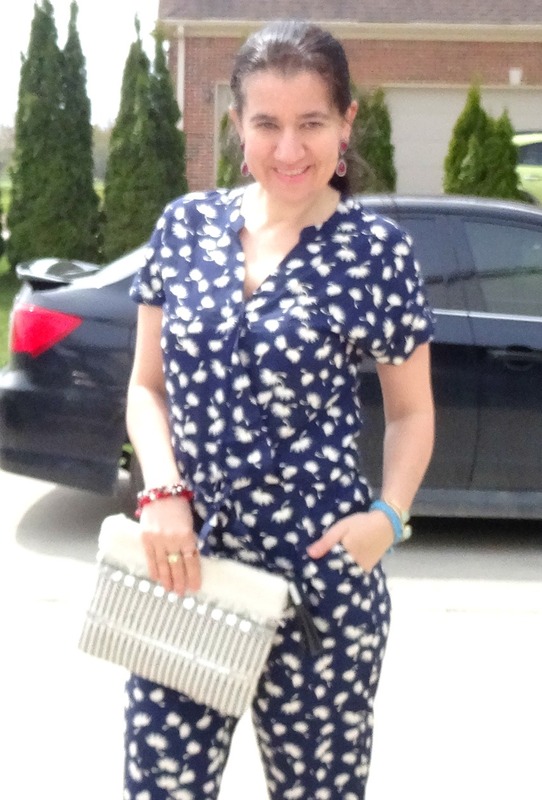 In case you are wondering, here is what I wore to my blog birthday party last year: Dress #1, Dress #2. 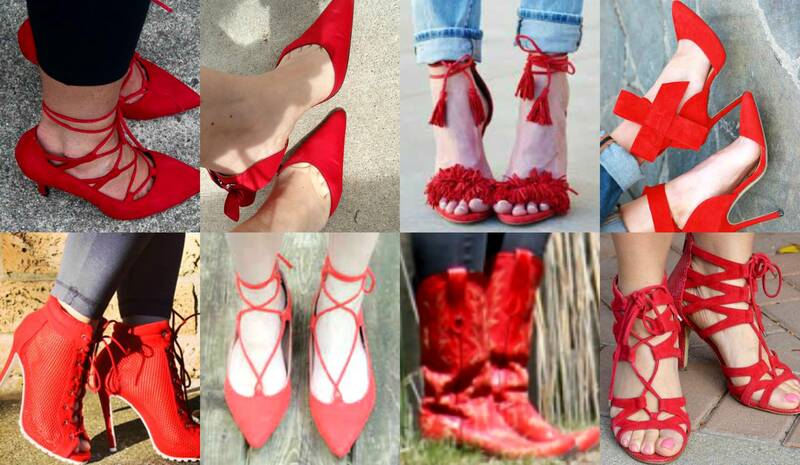 After you see my outfit photos for today, check out all the beautiful ladies that are celebrating with me today (a day before my birthday) with their gorgeous red shoes. 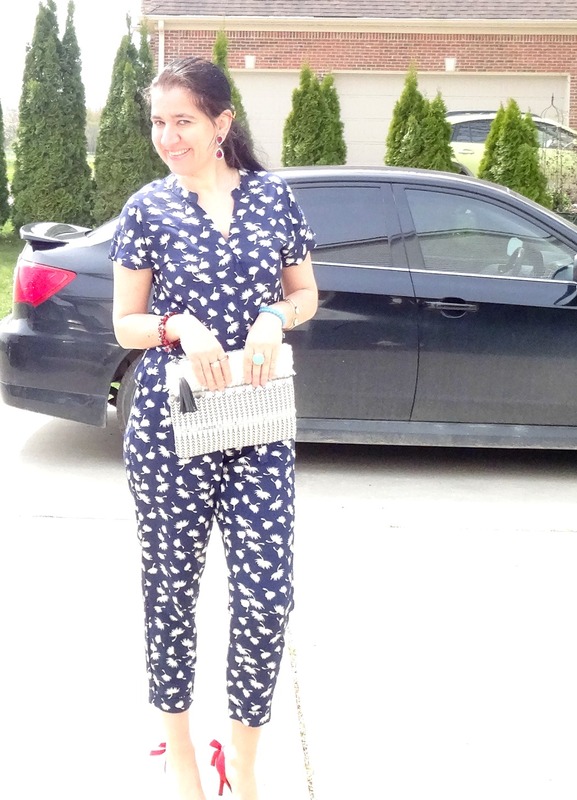 I paired my Satin Red D'Orsay Pumps (which have the prettiest bows and laceup corset detail on the back) with a New Navy Cropped Jumpsuit which has a White Leafy Pattern, almost like a Floral. 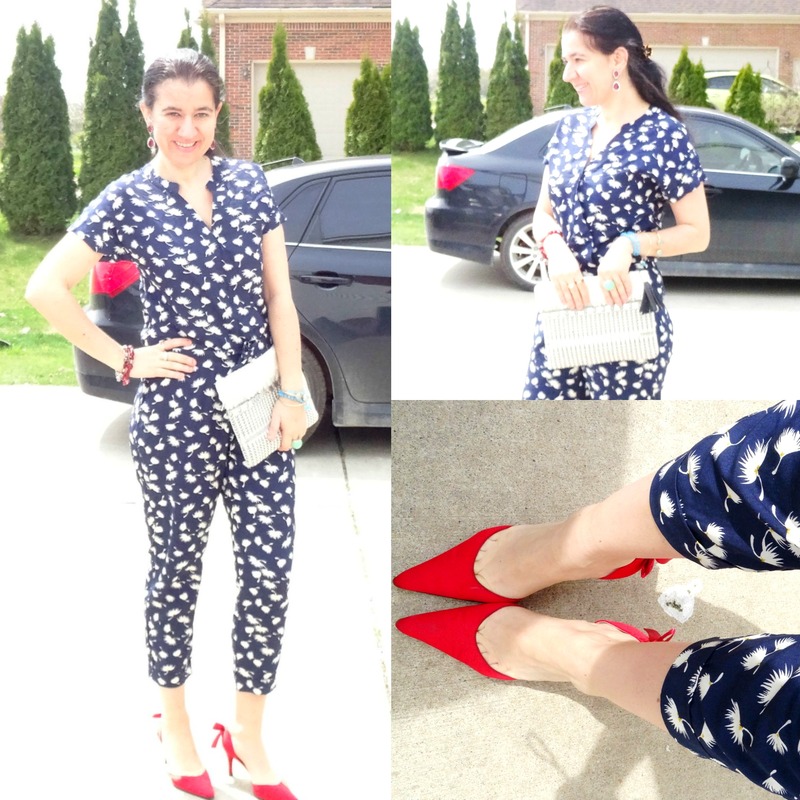 This pair of red shoes are by Anne Klein and my Jumpsuit is by Old Navy. 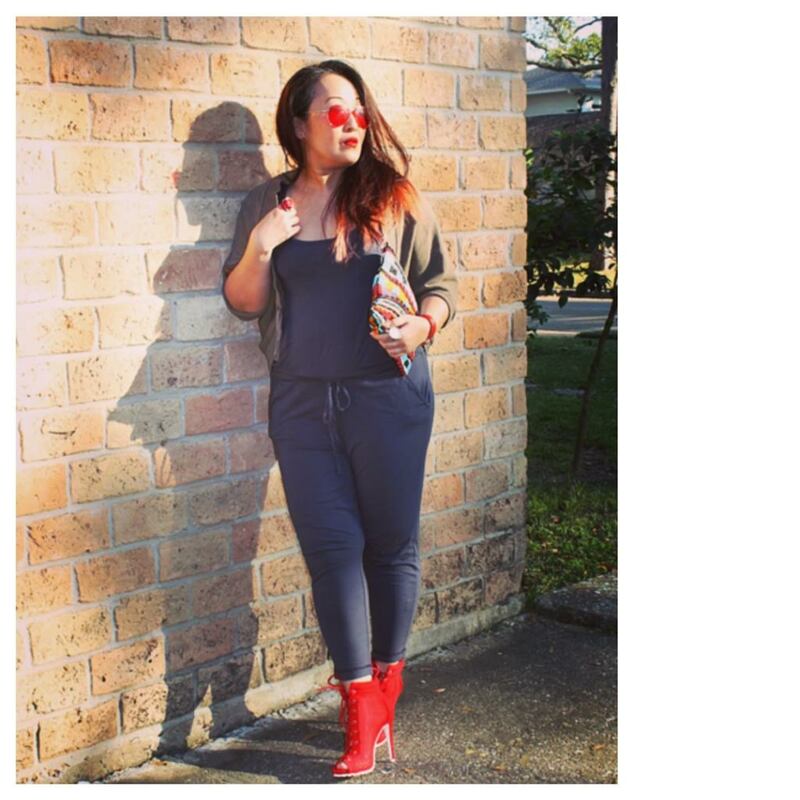 My jumpsuit is currently sold out but this one is a current very similar option. 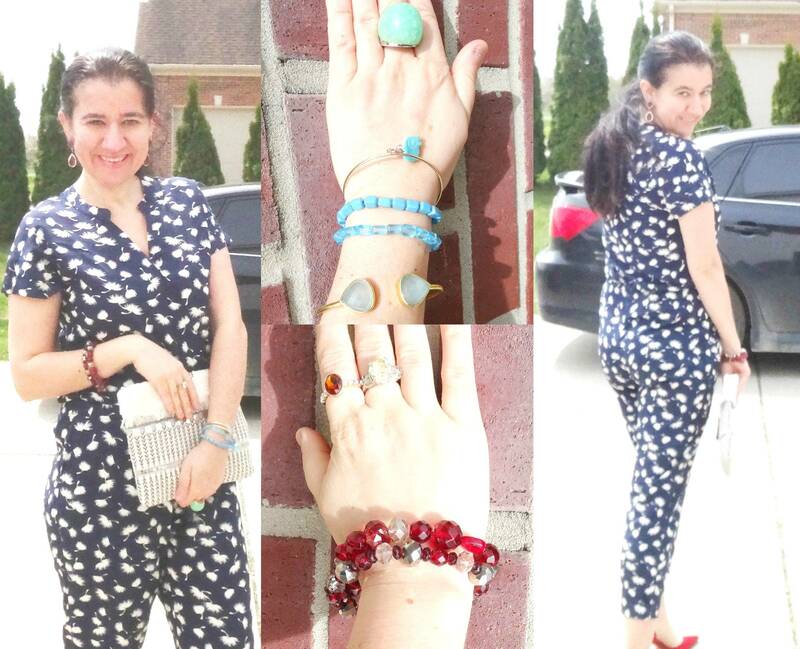 I brought out the red from the shoes via the Merlot Loren Hope Statement Teardrop Earrings (I have been wearing this for the 4th OOTD post in a row #SorryNotSorry) and a double stranded Deep Red Crystal Bracelet. I also added pops of Teal and Aqua with some Bracelets and one of my Cocktail Rings. I accessorized this entire look with an Oversized Aztec-Patterned Clutch with Sequins and Shearling detail. Coincidentally, I paired this same clutch and today's shoes together the last time I wore them. I ended up wearing this outfit to work sometime last week when it was still pretty warm. I did wear a jacket on top, too. I apologize for the squinty eyes and hair on my face in most of my pictures but it was very sunny and very windy at the same time (#StupidMichiganWeather). 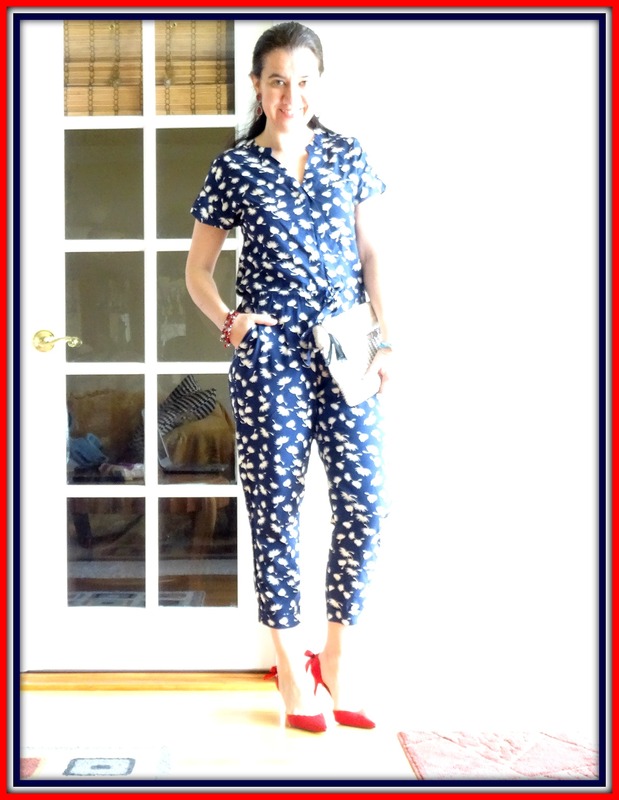 With the navy, red and white my outfit gives some Patriotic vibes, doesn't it? 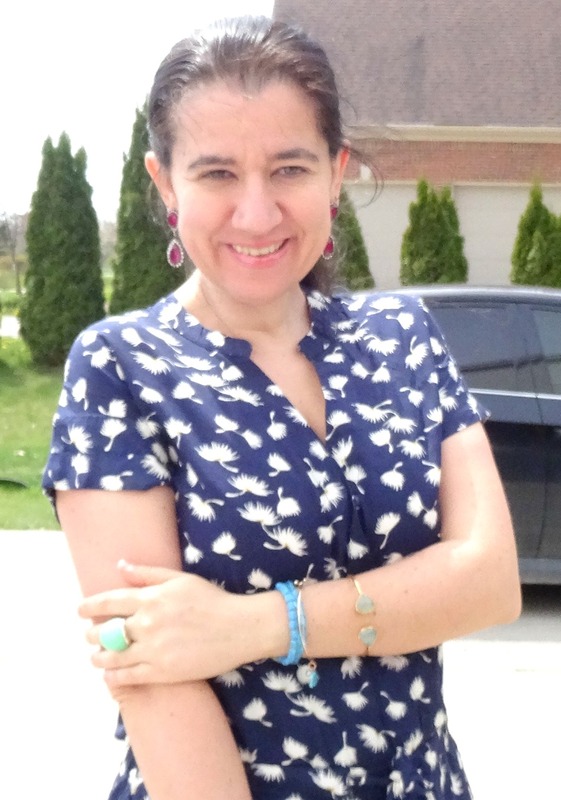 I think it is playful enough to wear to a dinner date afterwards (which I did) and dressy enough to wear to a girls' night out, a bachelorette party and even a shower. 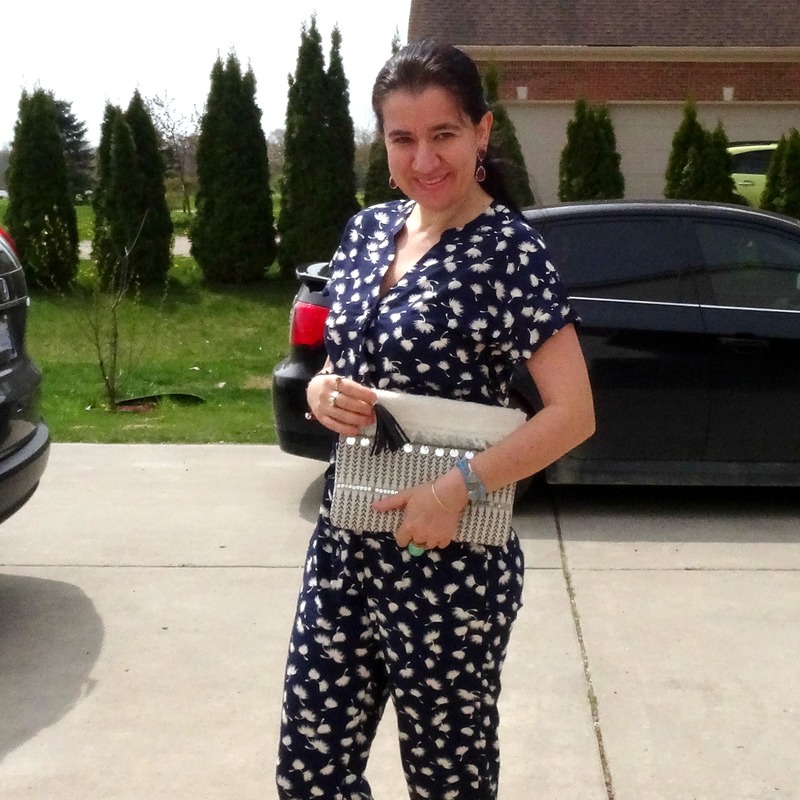 Navy, Cropped, Short-Sleeve Jumpsuit in a White Leaf/Floral Pattern w/ Mandarin Neckline: Old Navy (New) (masculine-inspired, Steal), (similar, Great Deal, love this), (similar w/ culotte legs, Splurge). 2-in-1 Burgundy/Deep Red & Smoke Crystal Beaded Bracelets: White House Black Market (similar, Steal), (similar, Great Deal, love this), (very similar, 1 strand). Tortoise Plastic Hair Claw: J. Crew (very similar, Steal), (similar, Great Deal, love this). Red Satin D'Orsay Pumps w/ Kitten Heels & Mini Bows: Anne Klein (very similar, Great Deal), (similar, Steal, love these), (similar, small Splurge, my Favorite). See what everyone else wore and what they had to say about their outfits. Doesn't everyone look fabulous in their Gorgeous Red Shoes and Red Boots? 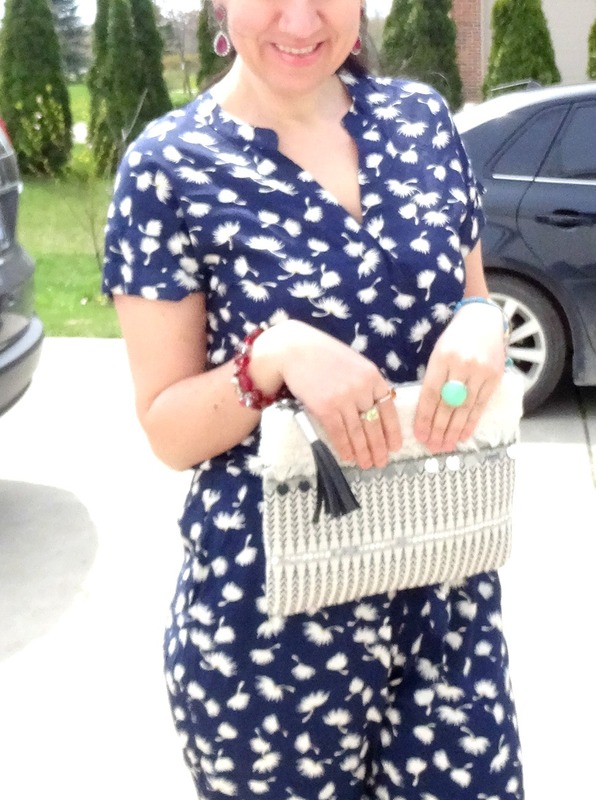 RACHAEL from "Threads from Thomas"
"There is nothing better than taking your wardrobe classics and mixing them together to make the perfect outfit, especially when you are dressing for a special occasion! When Ada asked me to be part of her birthday celebration, I just couldn't say no to breaking out my red shoes. Red, being a bold color, is typically a hue that I shy away from, so the perfect way to add red into my wardrobe is with an accessory. 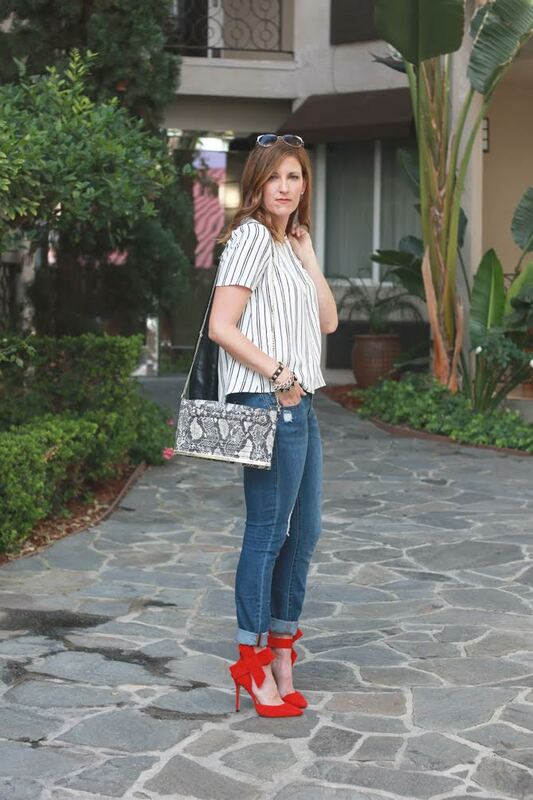 I added these red lace up flats to my wardrobe last fall, and they have since been a favorite. 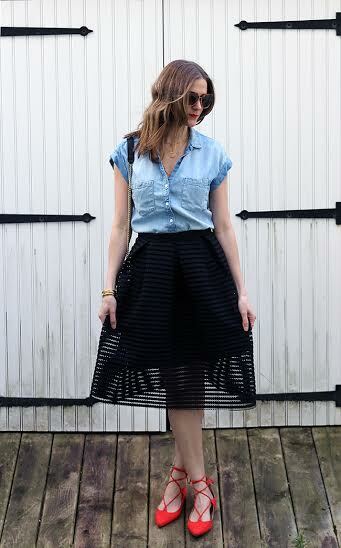 Paired with a classic chambray top and my black party skirt, and I have an outfit that's worth a celebration! ANDREA from "Living on Cloud Nine"
"The minute Ada mentioned this fun birthday celebration, I knew the lace up red heels that were on their way to me in the mail would be the piece to ensemble my outfit around. I chose an off the should gingham tunic with Capri leggings and added a trend piece making a comeback ~ the neck scarf! Add some chunky bracelets and I'm ready to celebrate the beautiful Birthday gal!! MONICA from "Jersey Girl, Texan Heart"
"Hi Y'all! Happy Birthday Ada, hope this year is a great one and brings you all the best! I'm Monica from Jersey Girl, Texan Heart. 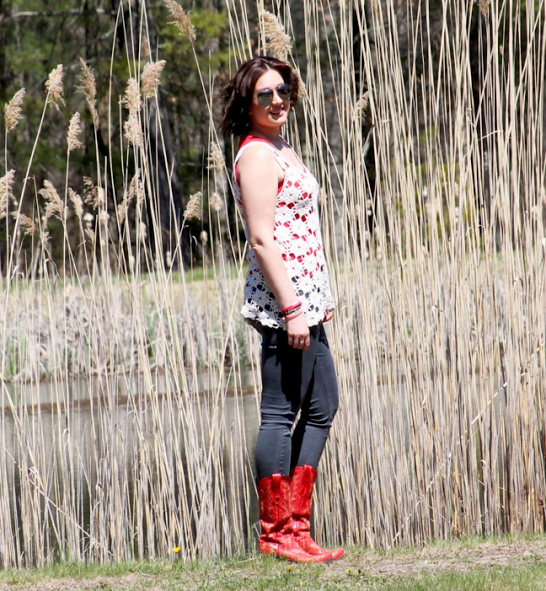 For this collab with Ada I chose to wear my red cowgirl boots. Cowgirl boots aren't just a "wild, wild west" thing anymore. They are such a fashion statement nowadays! Not to mention they're comfortable and they last forever. I wear my boots with just about anything. Don't get me wrong, I love my heels, but there's just somethin' about a broken in pair of boots! If you want to keep up with me on the daily just head on over to my Instagram." Amy Ann from "Straight A Style"
"Hi, I'm Amy Ann Arnold, blogger behind Straight A Style. I believe fashion doesn't have to cost a fortune and that all women deserve to feel good in their clothes. I'm thrilled to be celebrating Ada with my red shoes today! I wore this look for a recent date night with my hubby. You can see the full post here. I love a good shoe with distressed denim!" 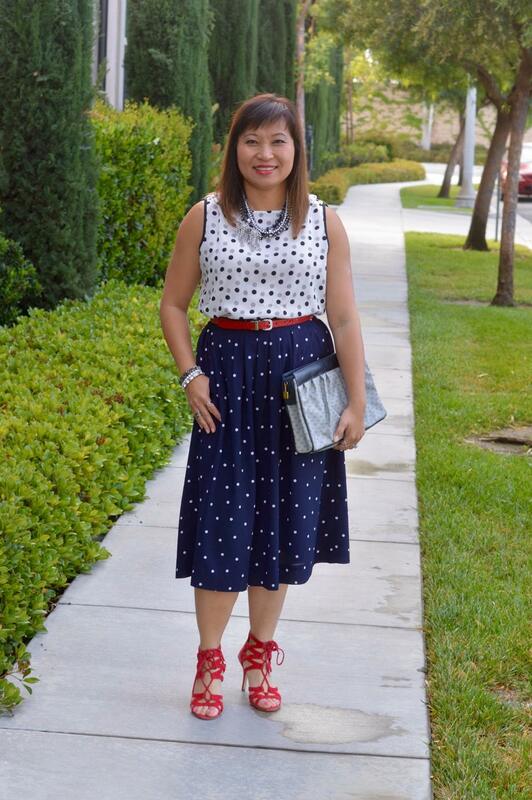 ALICE from "Happiness at Mid Life"
"I am helping Ada of Elegance & Mommyhood celebrate her birthday by wearing red shoes. She does a fun birthday post each year and this year her theme is red shoes. I bought these shoes on clearance (for under $40!) and they are so comfy and my go to shoe for a pop of color." 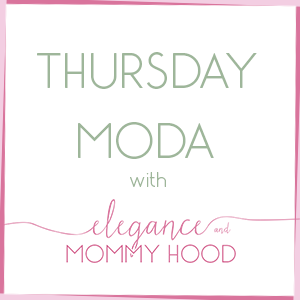 "Hi I’m Megan from The Fashionista Momma. First off Happy Birthday to Ada and thank you for letting me be a part of the style challenge. I chose to style my red heels for a date night with the hubs. I paired them with a vertical black and white striped top and a leather jacket. I like to mix girly and edgy pieces for most of my looks and I love how the girly bows mix with my jeans and motorcycle jacket. It’s finished perfectly with this snakeskin purse, adding a little pattern mixing to the whole look." A lot of these ladies have lately posted these outfits on their blogs and some are posting them this week, so check each of them out to see the full details on their fun and stylish outfits. And as always thank you for stopping by and reading today.